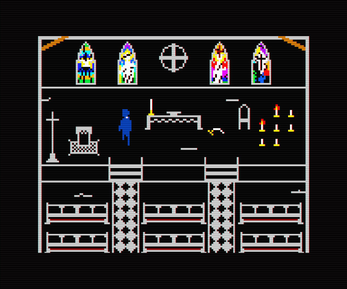 FAITH: Chapter II is a pixel horror game inspired by the era of MS-DOS, Apple II, Atari, and ZX Spectrum classics. Check out the original FAITH! TRY BEFORE YOU BUY: The FAITH: Chapter II Demo is a stand-alone, spoiler-free demo that is a separate experience from the full game. It is meant as a "vertical slice" to show off new features/mechanics etc. and allow you to detect any technical issues. IT IS A SEPARATE EXPERIENCE FROM THE FULL GAME. If you would like to donate, please do! 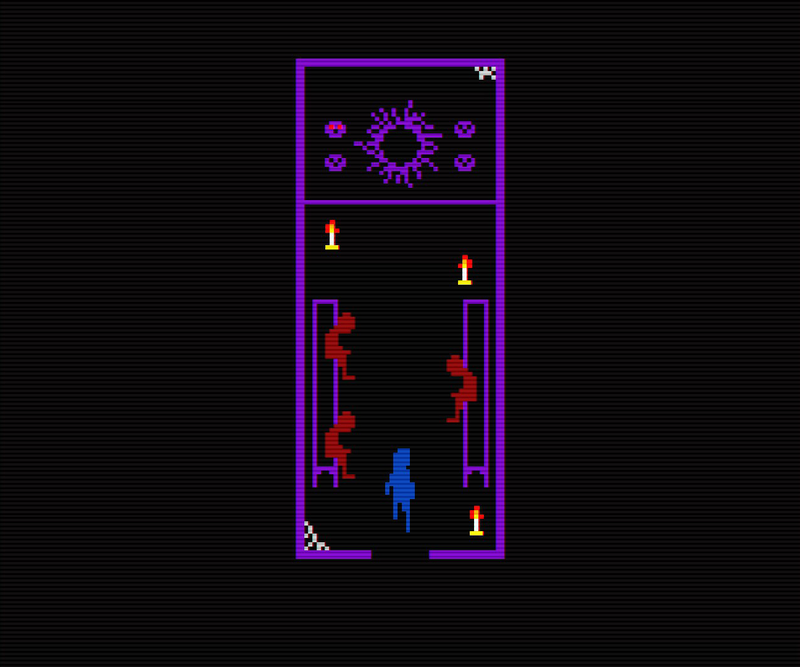 It's basically it's own game in itself :) Scroll to the bottom of this page to find the demo! 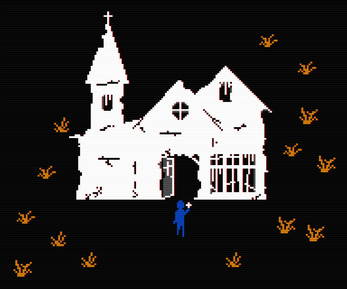 After confronting unspeakable dark entities and narrowly escaping with his life, a young priest descends into a new nightmare. 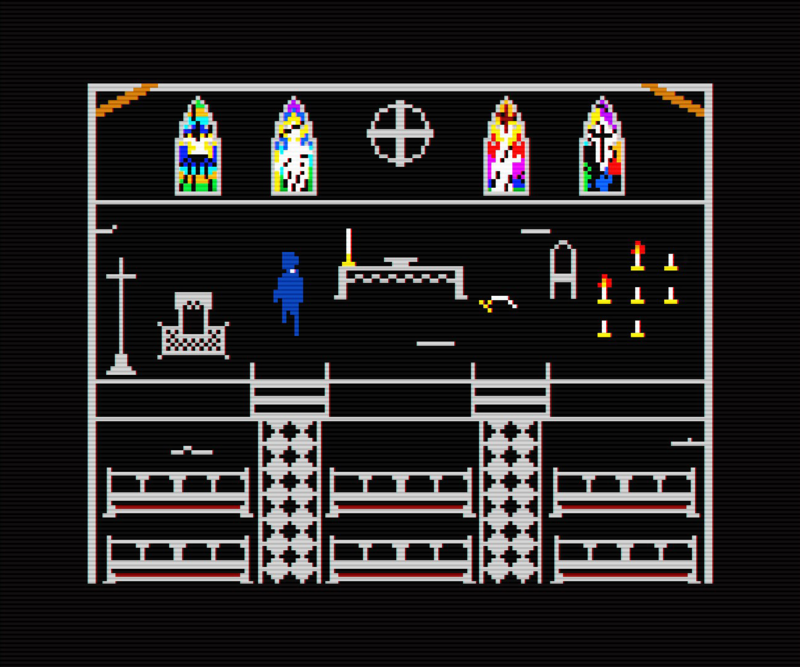 FAITH: Chapter II takes place during the "Satanic Scare" of the 1980s, a period of widespread paranoia of devil-worshiping, witchcraft, and occult practices. There was no Internet, no text messaging, and no GPS. Forget blue-and-pink neon. The 1980s were scary. It is recommended that you play with an Xbox controller. WINDOWS 8 USERS: FAITH is known to have game-breaking graphics issues for Windows 8 users with onboard Intel HD graphics cards like the Intel HD Graphics 4000. I highly recommend downloading and playing the demo to see if you get any graphical issues. To report bugs or compatibility issues, please send an email to: Airdorf(at)gmail(dot)com. Please don't report bugs or crashes in the comments! Thanks for playing the FAITH: Chapter II Demo! Check out Airdorf Games on Facebook for news, updates, and more! Listen to The Full FAITH: Chapter II Soundtrack! FAITH: Chapter II Full Game Released! New Trailer + Release News! I purchased this game and played it. I do not understand English, but I was very scared and interesting. Thank you for the fun game. Recently downloaded the game but the loading screen stays on the whole time. Is there a way to fix this? thank you! Please email me about this issue! After seeing ManlyBadassHero do the secret ending, I'm really excited to see what you come up with for chapter 3. Can you send me an email about this issue? Hi! I'm a huge fan of the original faith however in recent times my PC died and I got a mac (unfortunately) I was wondering if the game will be coming out for OS anytime soon because this next installment looks REALLY promising. Me and my sister did a playthrough! Great job as always!!! Can't wait for more! Just finished playing and i gotta say, i loved this game better than the first! Keep making good games like this Airdorf!! Do you have any plans on some point supporting Linux? I know I could probably play the game in WINE, but WINE has so amny dependencies that I really don't want to have to install. Thank you for allowing us players to get a demo taste of Faith 2! Since I played Faith 1 I knew I was in for a tr eat and, also a riveting scare! 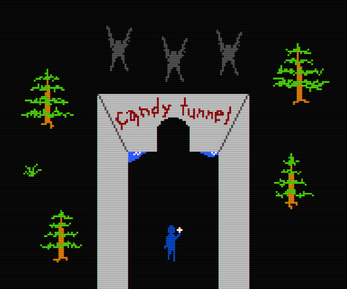 I don't know how you made an atari like game so horrifying but, you did! I look forward to grabbing the full game soon and, I know it will be well worth the money! Just finished first playthrough (got either ending II or 11 wasn't sure if it was numbers or numerals). Really enjoyed it and will go through again soon, thanks for the great work Airdorf! Waited a long time for this gem, One of my favorite horror series has resurfaced. This game is amazing, the art style, the sound design and the story are all bone chilling. The Second game is a set above the original and the demo. 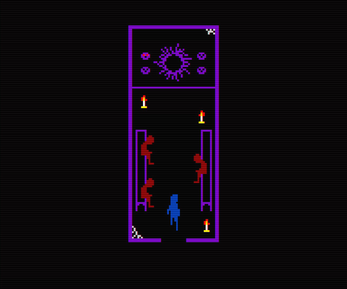 Its surpassed all of my expectations, Airdorf has done it again making an incredible interactive nightmare that sticks with you as you lay there in bed. Good luck getting to sleep with pleasant dreams tonight! This was pretty awesome! Even better than the first game. I always love to see games that can be genuinely creepy with old school graphics. Looking forward to the release of Chapter II. I know this is a standalone story but I am curious if this story has any connection to the main storyline at all. Great game. I was skeptical at first because i usually don't like those kinds of graphics. However, i was happily proven wrong. Loved the first and the demo keep up the great work looking forward for the full release. 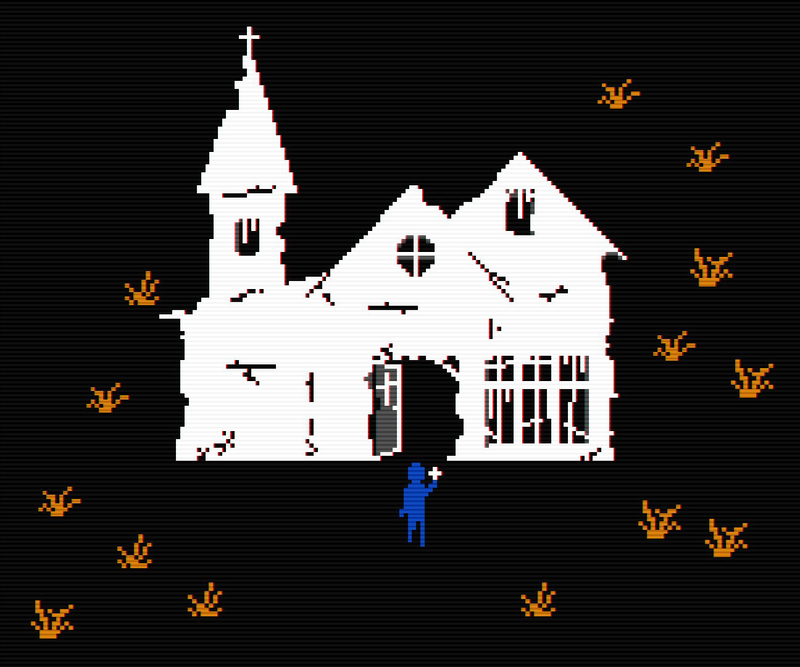 btw can you maybe make the crucifix yellow like the last game it blends in with the buildings. Nope. There’s a reason why the crucifix is white. This looks great! The first one was a lot of fun so I'm excited to play this. Look forward to this one, friend! Keep up the good work, I have FAITH in you. I really liked the original game and I'm really excited for the sequel! I hope it comes out soon because I really love these games! I absolutely loved the first game and I am very excited for this one! This demo was great and had an even more intense atmosphere than the original did. I may be abit late but I felt I had to say something. Faith I blew me away and I cant wait to play the full squeal. both games stuck around with me for a while. The graphics and audio constantly came to mind when talking about what I have played recently. I loved this game even though towards the end I started to get confused I wanna play more. This was just as awesome as the first Faith. I knew enough to read the actual 'readme' file for the secret, this time! The graphics are super unique and really inspired a lot more effort on the atmosphere. I imagine a pixel horror is tough to build into an actual terrifying experience, but you really hit it on the head with this one. I saw on Twitter that this is going to be a completely separate experience from the full Faith II game, and I'm extremely excited for that. The story was very well told and left a lot of holes for our imaginations as players to fill. I got both endings and there are still many mysteries to solve here. Thanks so much for making this and good luck with the full game! I'll be there waiting for the release! I am super excited for the full release of this game! Its a type of horror that definitely explains the idea: less is more. :) good luck and keep doing a great job!! It was a mission but i wanna say i found the secert ending! lol but i most likely just found another ending! loll but i really did enjoy this game i cant wait for the full game! Everything about this is perfect! Finale to the demo - great fun! I'm glad I checked for this today, thanks!